Bruce Clay shared his marketing insights on SEO, branding and social media yesterday on “Social Media Today Power Talk,” a monthly digital marketing show hosted by David Amerland. 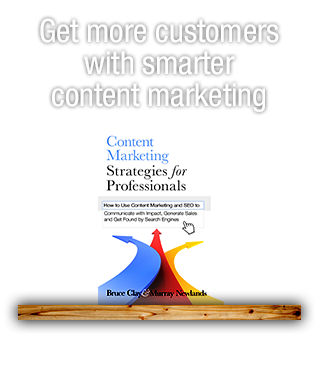 Amerland is the author of many digital marketing books, including “SEO Help: 20 Semantic Search Steps,” “Google Semantic Search,” and “Google+ Hangouts for Business,” and a stand-out Google+ influencer with more than 350K followers. Bruce was honored to be a guest on this lively episode of Social Media Power Talk, which you can relive complete with comments on the event page here. Amerland asks Bruce why it is that people persist with asking “Is SEO dead?” Bruce explained that it’s because SEO is dead — at least in a sense. 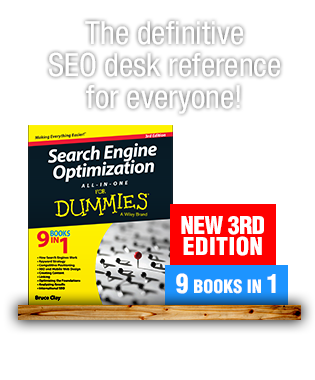 “In the beginning SEO was rather simple — you optimized a page, got some links and you would rank. Up until seven years ago, SEO was not as complex as it is today. I’ve actually said SEO is dead as it was. It has evolved. Today’s SEO is not like the SEO of ten years ago, or five years ago, or two years. What goes into SEO today is far more technical, it is more far-reaching, it has much more visibility and more people think they’re doing SEO than actually are,” Bruce explained. What did the audience think about the state of SEO? 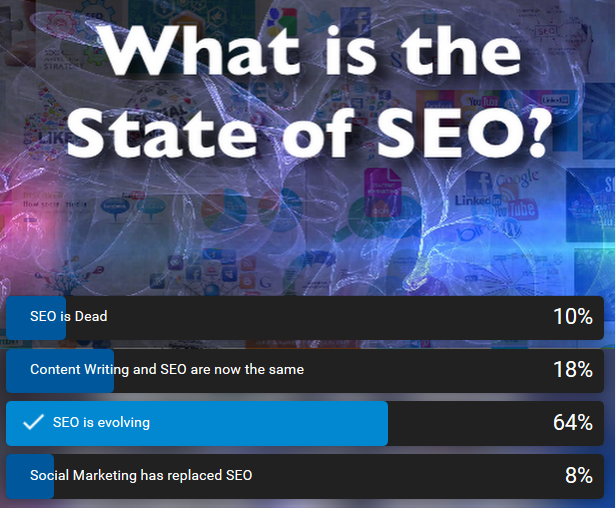 Co-host Alexandra Riecke-Gonzales polled the audience and found that while the majority views SEO as evolving (as Bruce does), ten percent of viewers do, in fact, think SEO is dead. Bruce weighed in: “I would easily view the ten percent that think SEO is dead are the people that either got burned by it or the only way they thought SEO worked was through links — and links are dead. There are a lot of people who lost faith in SEO because the only SEO they knew was spam. And if spam is dead, then ‘SEO’ is dead,” Bruce said. What about those who think social media marketing is replacing SEO? “Social hasn’t replaced SEO and if you look at any attribution model what you’re going to find is that when you do things socially, organic search traffic goes up. It’s the attribution that fails. It’s a stimulus response. 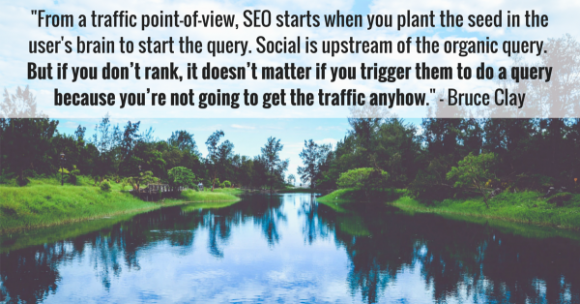 Most people think SEO starts when you do the query but from a traffic point-of-view, SEO starts when you plant the seed in their brain to start the query — and social is upstream of the organic query. A lot of people perceive social media marketing, then, as the new SEO — but it’s not. The fact is if that if you don’t rank it doesn’t matter if you trigger them to do a query because you’re not going to get the traffic anyhow. 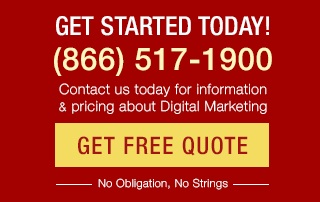 Social media marketing is never going to replace SEO, but it is fully complimentary to SEO,” Bruce explained. In order to be a leader, you have to pay attention to what’s going on out there. We assign about 120 hours a month of actual project work and we’re expect that the other 40 hours a month are spent on education — reading, paying attention, classes, courses, webinars, conferences, etc. We provide our staff sufficient time for them to be knowledgeable on all algorithm changes as they happen. At Bruce Clay, Inc., everyone is involved in projects. “That isn’t to say that we don’t have people that focus on SEO, people that focus on PPC, people that focus on content and social, etc., but they’re all connected. PPC is thirty feet from SEO and they’re working on the same projects. When we have a call with a client, all the departments are on the call. They hear what the status is, share knowledge, etc. 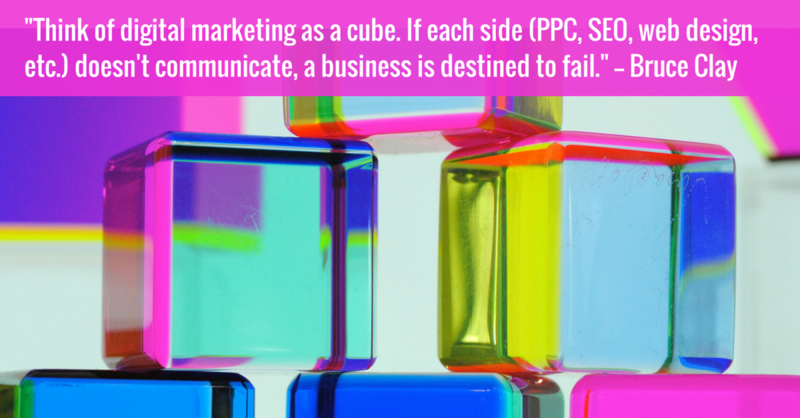 SEO hears what PPC has to say and vice versa. We’ve gone way out our way to make our team work as a team,” Bruce explained. I think that Google is going to experiment. I think we’re going to see tweets show up if they’re very high volume. If they’re medium volume, they’ll have some influence. Tweets will be a minor variable if they’re low traffic — for example, only have three retweets. I don’t know that Google is going to ever really bring back a Google+ in a social way. It still influences things. Take the author tag, for example. Google said they’re no longer going to be showing it in the search results, and they don’t. Google never said, however, that they’re ignoring it. So, it may be that a lot of these things — Google+, Twitter, etc. — it’s entirely possible that these things influence results, whether or not Google says it is. Thank you to host David Amerland for inviting Bruce Clay to the show! Get more episodes and further information on “Social Media Today Power Talk” here. SEO got more challenging is all, weeded out the part-timers. Local SEO is an art and I love testing and figuring things out that work. It’s not as difficult as we make it seem… you just have to do the work. Thanks for the glowing feedback, Ryan! Absolutely a perfect SEO post! I must say the above post is definitely not for the 10% people who think ‘SEO’ is dead,”.